If you’re an investor who’s following real estate trends, there should be no doubt by now that investing in real estate is one of, if not the best way to acquire wealth… so why do so many people give up so soon? 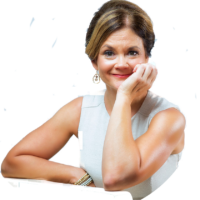 When the real estate market is up, doesn’t seem like there are so many more real estate seminars being offered and we see more of those late night real estate investing infomercials about how you can start making money in real estate? People end up spending thousands and thousands of dollars on these courses, as well as investing their time and energy. So here is what has always amazed me: only about 5% of those newbie investors even buy one house. Why is that? Here is the “Why is that?” answer. The real estate gurus sell the “sizzle and not the steak” approach. They make real estate investing sound like you will turn around with profit and wealth in no time. In fact, it won’t be long till you are driving the car of your dreams to your new yacht at the pier. Hold on, not so fast! Profiting from real estate sounds easy, right? Buy a house, sell it for profit, what can be so difficult about that?. Well, the truth is, real estate investing really is simple, but it is definitely not easy. From all my years involved in real estate investing, I thought I should at least write what I feel is a solid plan for anyone that is beginning to build financial independence by investing in real estate. 1. Buy homes below full market value. Yes, people really do sell homes for less than the home’s full value. The key is to understand that most homeowners will only consider a purchase offer that is all cash and within 5% to 10% of their asking price. The successful investor learns to find financially distressed homeowners who have no choice but to sell for less than market value. They have lost their job or been suddenly transferred; they are divorcing; they been living beyond their income; the family has been overwhelmed with medical bills and, not uncommonly these days, their money has gone to support a drug habit. 2. How do you find motivated sellers? You work at it! Like any business, it is important to develop a little marketing plan. One that is simple, yet very effective, is the one that was proven 75 years ago by the Fuller Brush company; door to door sales. You are selling your skill as a home buyer to people who must sell. You are there when they need you and you have the skill to help them solve at least part of their problem. With door to door prospecting, you will learn more and buy more homes quicker than any other method. However, most people just won’t walk door to door for three or four hours per week. OK, there are other ways. You can watch public notices for the announcement of foreclosure sales. Meeting with a homeowner right after they’ve received a notice that they are about to lose their home allows you to deal with a very motivated seller. Other public notices that provide buying opportunities include probate, divorce, and bankruptcy. You can follow the Homes For Sale listings in your local newspaper or Internet site. After you’ve found a motivated seller you must understand how to frame offers that provide benefits for both you and for the homeowner. A good real estate investor quickly learns that this is not a business of stealing property, but of solving problems in a way that benefits the seller. The homeowner is in a tight spot of some kind and you can save them from public embarrassment and, in most cases, give them at least a little cash to get a new start. No investor can afford to leave cash in every deal. No one but Bill Gates has that much available money. You must use creative techniques like, leases, option and taking over mortgage payments. Little or no cash is needed for those deals. You can find plenty of reasonable priced educational material on those subjects in bookstores or on eBay. The same education that seminars sell for thousands of dollars. It may sound strange to you at first, but you make your profit when you buy, not when you sell! Never make a purchase until you’ve carefully determined exactly how you will get to your profit. If you hold it as a long-term investment will the monthly rental income more than cover the monthly mortgage payment? Will you sell the deal to another investor for fast cash? Will you do some fix-up and sell the property for full value? Will you quickly trade it for a more desirable property? Have a plan before you buy. There you have it, my four steps that even a part-time investor can execute in three to four hours per week. What’s the missing ingredient? Your determination and perseverance. 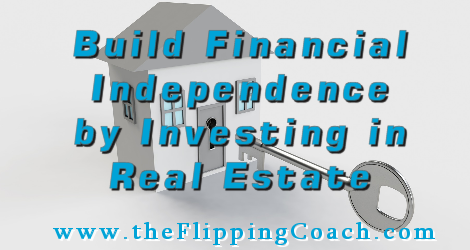 If you will unfailingly follow the plan for a few months you will be well on your way to building financial independence by investing in real estate.